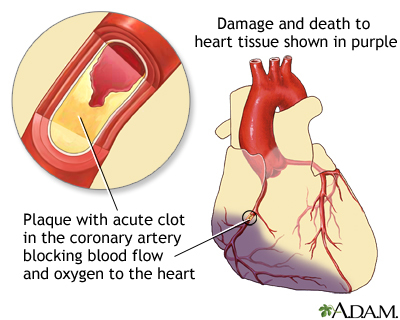 A heart attack occurs when blood flow to a part of your heart is blocked for a period of time and a part of the heart muscle is damaged. It is also called a myocardial infarction (MI). Angina is pain or pressure in the chest. It occurs when your heart muscle is not getting enough blood or oxygen. You may feel angina in your neck or jaw. Sometimes you may notice that you are short of breath. Below are some questions you may want to ask your health care provider to help you take care of yourself after a heart attack. How should I treat my chest pain or angina when it happens? How much activity is ok for me? Can I walk around the house? Is it ok to go up and down stairs? When can I start light housework or cooking? How much can I lift or carry? How much sleep do I need? Which activities are better to start with? Are there activities that are not safe for me? Is it safe for me to exercise on my own? Should I exercise inside or outside? Do I need to have a stress test? Do I need to go to a cardiac rehabilitation program? When can I return to work? Are there limits on what I can do at work? How can I change the way I live to make my heart healthier? What is a heart-healthy diet? Is it ok to ever eat something that is not heart healthy? How can I make heart-healthy choices when I go eat out? Is it OK to drink alcohol? How much? What is my cholesterol? Do l need to take medicines for it? What medicines am I taking to treat angina? If I am taking a blood thinner such as aspirin, clopidogrel (Plavix), prasugrel (Effient), ticagrelor (Brilinta), coumadin (Warfarin), apixaban (Eliquis), rivaroxaban (Xeralto), edoxaban (Savaysa), dabigatran (Pradaxa), can I use medicines such as ibuprofen (Advil, Motrin), naproxen (Aleve, Naprosyn) for arthritis, headaches, or other pain problems? Smith Jr SC, Benjamin EJ, Bonow RO, et al. AHA/ACCF secondary prevention and risk reduction therapy for patients with coronary and other atherosclerotic vascular disease: 2011 update: a guideline from the American Heart Association and American College of Cardiology Foundation endorsed by the World Heart Federation and the Preventive Cardiovascular Nurses Association. J Am Coll Cardiol. 2011;58(23):2432-2446. PMID: 22055990 www.ncbi.nlm.nih.gov/pubmed/22055990.